Whether you’re interested in starting a career in payroll and bookkeeping or are an experienced professional seeking a certification, these courses will prepare you for the Certified Payroll Professional (CPP) exam administered by the American Payroll Association. Begin your career journey into the high-demand field of bookkeeping by mastering QuickBooks 2018 — the leading financial software tool for small businesses. After an in-depth study of QuickBooks, you will learn the principles of payroll management. By the end of this comprehensive training, you will be an expert in payroll from basic accounting to double-entry bookkeeping. You will learn through hands-on activities designed to help you understand skills like handling accounts receivable and payable, accounting for fixed assets, and recording inventory. To qualify to sit for the CPP exam, you must meet APA requirements. If you are unsure about your APA requirement status, please check the course prerequisites section. Professional Bookkeeping with QuickBooks 2018 and Payroll Practice and Management cover all critical areas of payroll administration and management. You will learn the major components of the Fair Labor Standards Act of 1938, as well as the Internal Revenue Code. Each of these will provide a foundation of knowledge regarding the classification of workers, the calculation and payment of overtime, minimum wage, child labor, and all other relevant wage and hour laws. You will learn the relevant sections of the Internal Revenue Code and state code relating to the calculation, withholding and reporting of required taxes on wages. But, there is more to payroll than calculating gross wages and taxes. 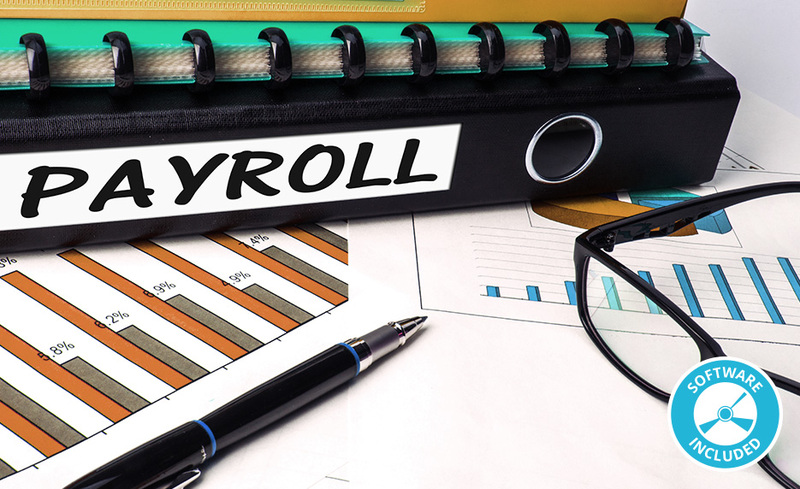 You will learn about the year-end forms that payroll is required to process, as well as how to handle garnishments and manage the department itself. By the time you finish this course bundle, you will be well-versed in the many facets of payroll administration and management, including garnishments and levies, year-end reporting forms, direct deposit, record retention, writing payroll procedures, and staff training. A. Welcome to QuickBooks: Demonstrate how to set up a QuickBooks company file for a business by creating an Ace Photography QuickBooks company file. B. Working with Company Files: Have a better understanding of how to work with company files in QuickBooks precisely and accurately. A. Bookkeeping Defined: Apply bookkeeping concepts to accounting problems. B. The Journal, the Ledger, and Special Journals: Run QuickBooks reports for the general journal and the general ledger, as well as reports for subsidiary journals. A. The Chart of Accounts: Work with the Chart of Accounts in QuickBooks, including adding and changing accounts. B. Company Lists: Administer various company lists in QuickBooks by adding customers and vendor. A. Bank Accounts and Cash Transactions in QuickBooks: Record bank account transactions in QuickBooks by entering cash account transactions and completing a bank reconciliation. B. Fixed Assets and Depreciation in QuickBooks: Record fixed assets and depreciation in QuickBooks. A. Accounts Payable I: Record bills in QuickBooks by entering various accounts payable transactions into the course. B. Accounts Payable II: Produce accounts payable history and reports in QuickBooks. A. Accounts Receivable I: Demonstrate the invoice procedure by producing a customer invoice in QuickBooks. B. Accounts Receivable II: By the end of this lesson, you will be able to manage payments, deposits, and returned checks in QuickBooks. C. Accounts Receivable III: Check for outstanding invoices and bill for the reimbursement of expenses in QuickBooks. D. Batch Invoicing and Creating Letters: Produce batches of invoices and customer letters in QuickBooks. A. Introduction to Inventory and Customer Estimates: Create and revise customer estimates, and you will practice recording and tracking inventory transactions. B. List Items and Inventory in QuickBooks: Assign classes, add and edit multiple list entries, and track inventory in QuickBooks. C. Ordering and Selling Inventory in QuickBooks: Order and sell inventory by creating sales and purchase orders and receiving inventory. D. Vendor Discounts and Credits and Adjusting Inventory in QuickBooks: Manage vendor discounts and credits and adjust inventory in QuickBooks. E. Tracking Price Levels and Customer Discounts in QuickBooks: Manage price levels and customer discounts in QuickBooks by creating price levels, discounted items, and customer discounts. F. Working with Customer Balances: Learn techniques for working with customer balances in QuickBooks. A. Closing the Books and Reporting: How to close the books in QuickBooks and how to run and use important reports. B. Your Career Roadmap: The Job Search and Future Opportunities: How the job market works, and you will obtain skills to help you navigate it. C. Communication: Learn basic concepts related to effective business communication. B. CH 2: Who Is the Employer? B. CH 2: What Are Wages? B. CH 2: What Are Tax Preferred Benefits? B. CH 2: What Is Garnishment? There are no prerequisites to take this course. However, to qualify to sit for the American Payroll Association’s Certified Payroll Professional (CPP) exam, you must have been practicing a total of three (3) years out of the five (5) years preceding the date of the examination. This course is self-paced and open enrollment, so you can start them when you want and work at your own pace. When you register, you will receive twelve (12) months to complete the course. Yes. This course prepares for the Certified Payroll Professional (CPP) exam.